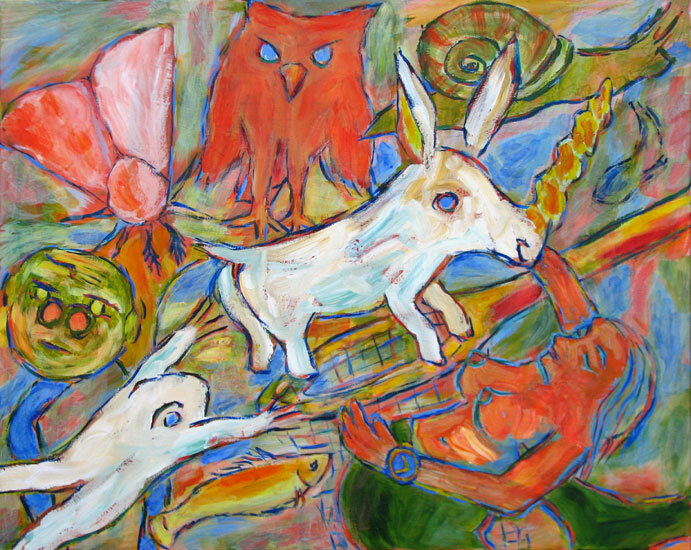 “The Unicorn and Other Mythical Beasts” contemporary figurative painting. acrylic on canvas. 30 in x 24 in.